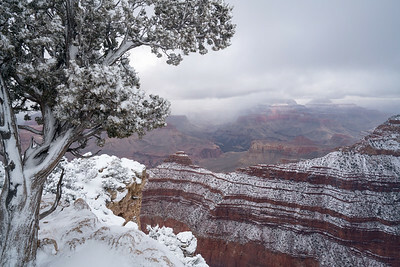 A snow-covered Juniper Tree stands guard along the south rim of the Grand Canyon National Park, Arizona, USA. 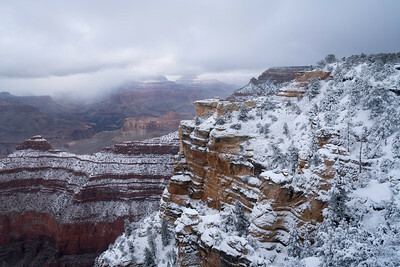 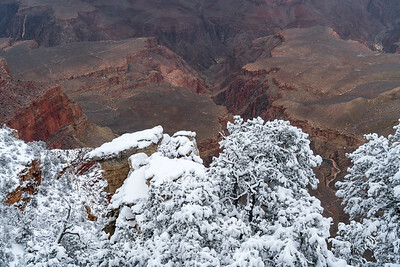 Fresh snow and clearing storm at Hopi Point, Grand Canyon National Park, Arizona, USA. 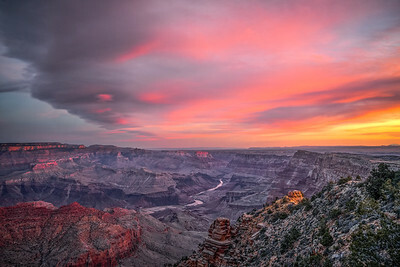 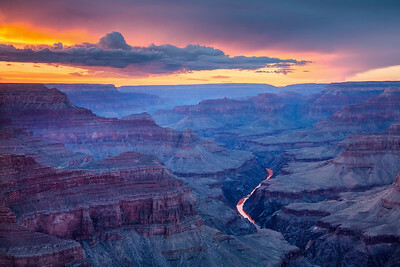 Warm hues of dusk is enhanced with trapped pollutants from larger cities (Las Vegas and Phoenix) at Grand Canyon National Park, Arizona, USA. 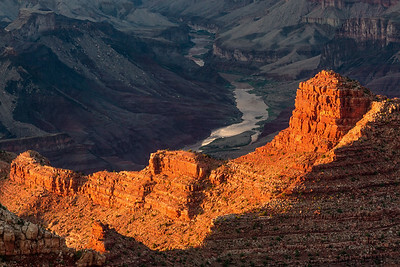 The last warm light of sunset warms the face of Wotans Throne, Cape Royal, north rim, Grand Canyon National Park, Arizona, USA. 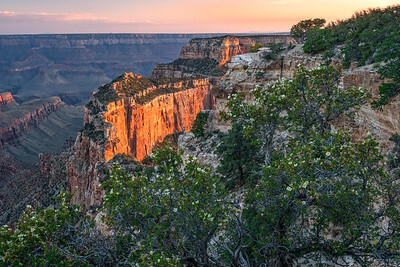 A Cliffrose bush (Cowania stansburiana) stands in the foreground. 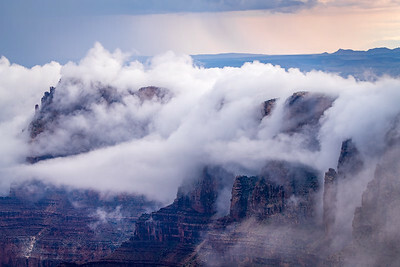 Brocken Spectre, South RIm, Grand Canyon Arizona, USA. 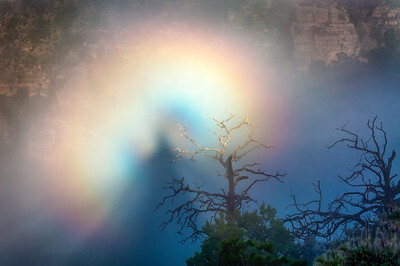 The Brocken Spectre appears when a low sun is behind a figure who is looking downwards into mist from a ridge or peak. 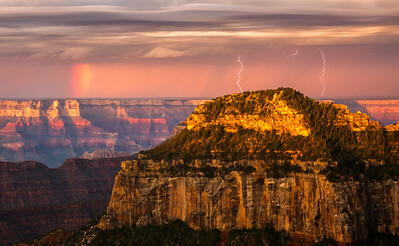 The "spectre" is the shadowy figure - the glow and rings are a glory centered directly opposite the sun at the antisolar point. 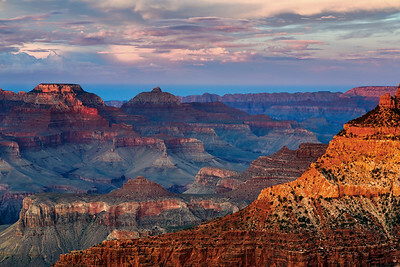 Grand Canyon National Park, Arizona, USA. 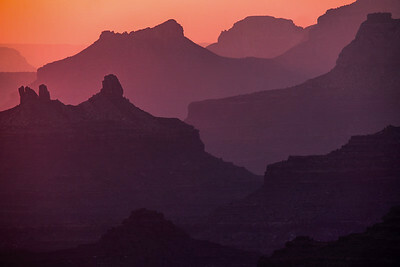 Dawn at Imperial Point, Mt. 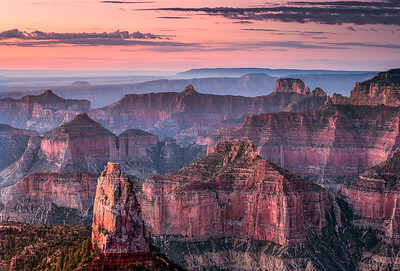 Hayden, Grand Canyon, North RIm, Grand Canyon, Arizona, USA. 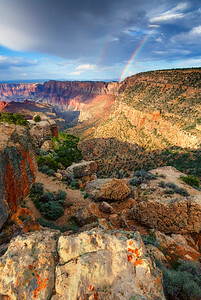 Dual rainbows form over the south rim of the Grand Canyon as seen from Grandview, Grand Canyon National Park, Arizona, USA. 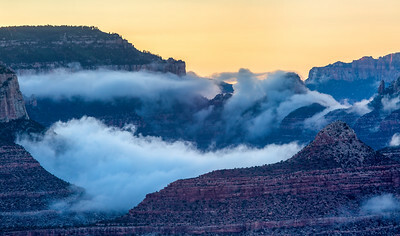 Fog over the Promenade, Navajo Point, south rim, Grand Canyon National Park, Arizona, USA. 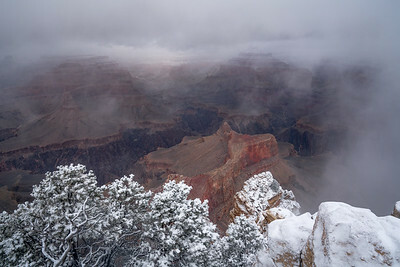 Clouds break to reveal a winter scene on south rim of Grand Canyon, Grand Canyon National Park, Arizona, USA. 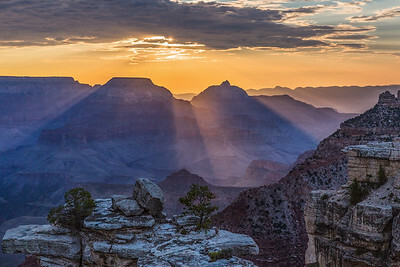 Summer sunset from Desert View, Grand Canyon National Park, Arizona, USA. 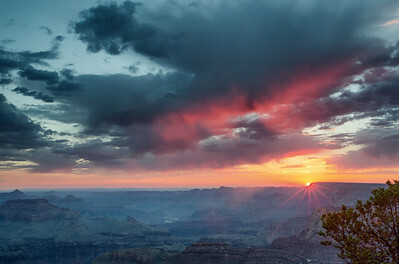 Grandview Sunrise, South RIm, Grand Canyon Arizona, USA. 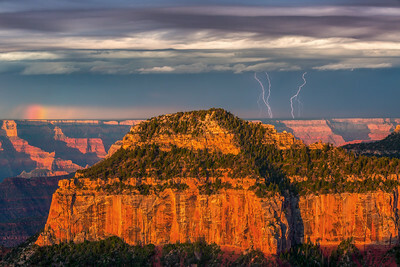 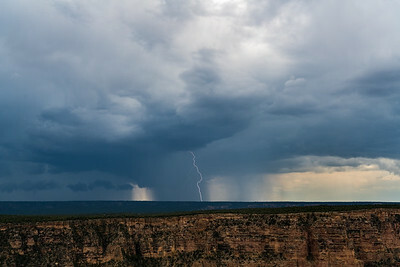 A lightning bolt strikes Coconino National Forest as seen from south rim of Grand Canyon National Park, Arizona, USA. 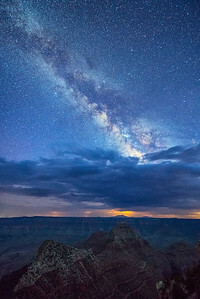 A moonless sky reveals stars and Milky Way as seen from Angels Window on the north rim of Grand Canyon National Park, Arizona, USA. 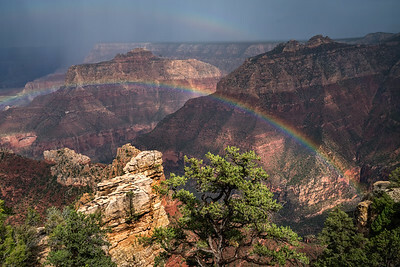 The closet formation is Freya's Castle and the second formation is Vishnu's Temple. 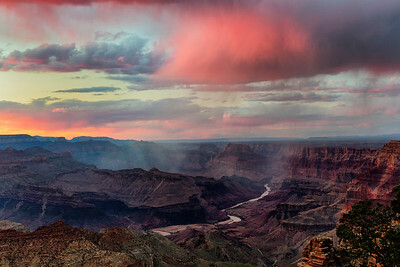 A look into the Canyon from the South Rim, Grand Canyon National Park, Arizona, USA. 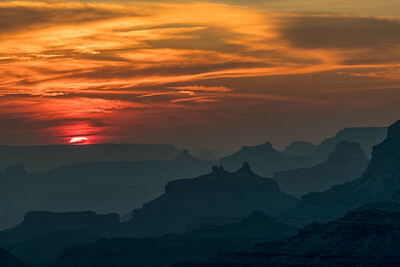 Pima Point sunset, Sourth RIm, Grand Canyon, Arizona, USA. 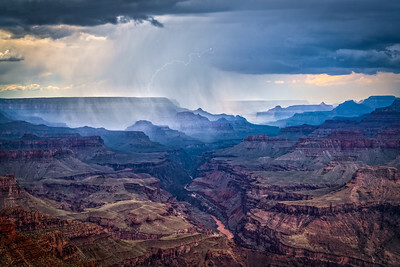 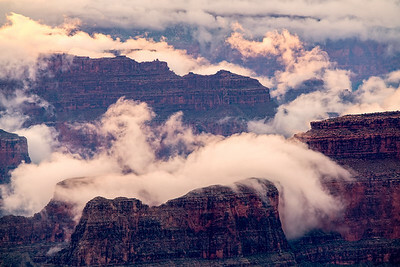 After a day of heavy rain, mist rises off the canyon floor at Grand Canyon National Park, Arizona, USA. 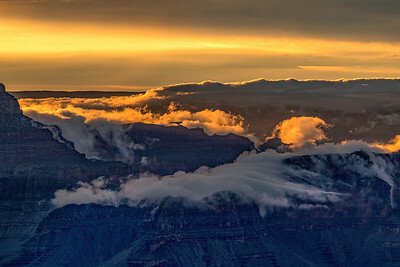 Warm hues from the setting sun light the underside of strom clouds as seen from Lipan Point, south rim, Grand Canyon National Park, Arizona, USA. 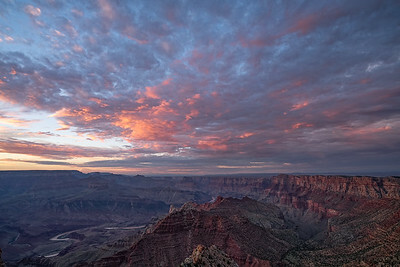 Sunset lit clouds at Hopi Point, Grand Canyon National Park, Arizona, USA. 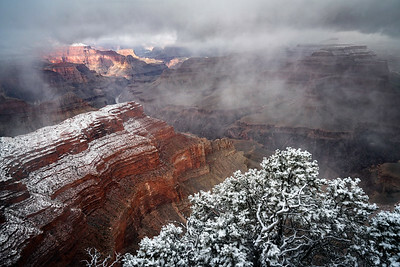 A clearing witner storm leaves fresh snow at Grand Canyon National Park, Arizona, USA.